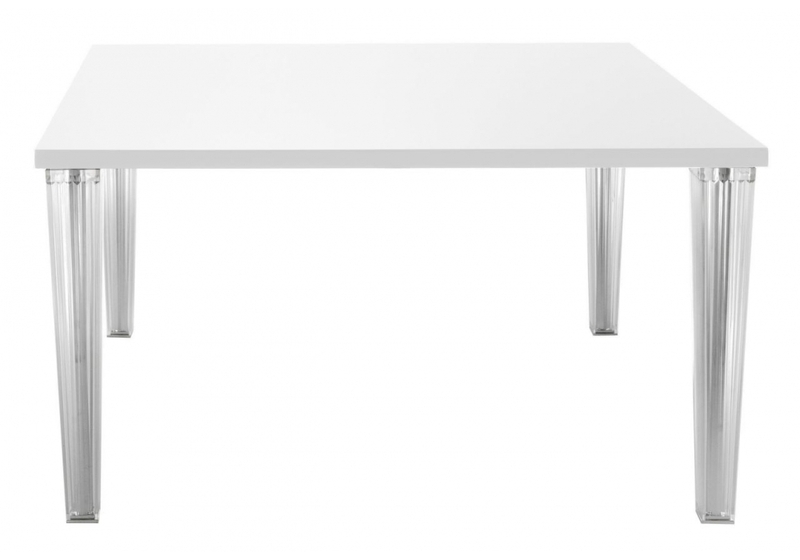 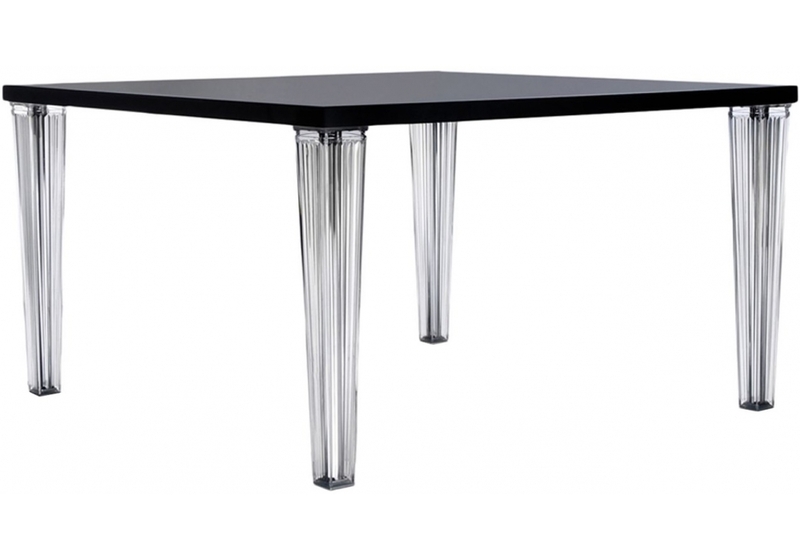 TopTop is a table designed by Philippe Starck with Eugeni Quitllet for Kartell. 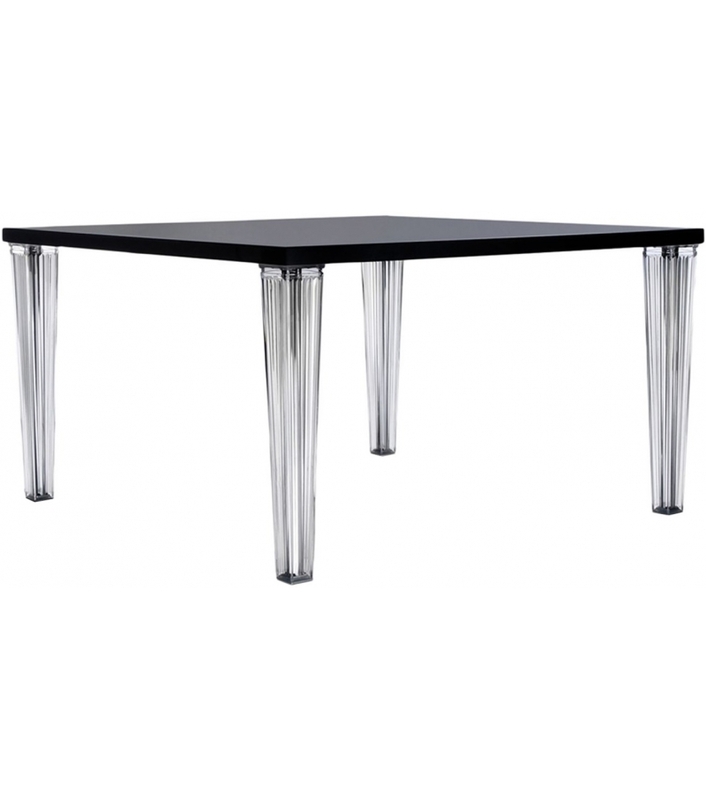 The minimal and elegant lines are made all the more stylish by the transparent, pleated legs with a square section and metal core. 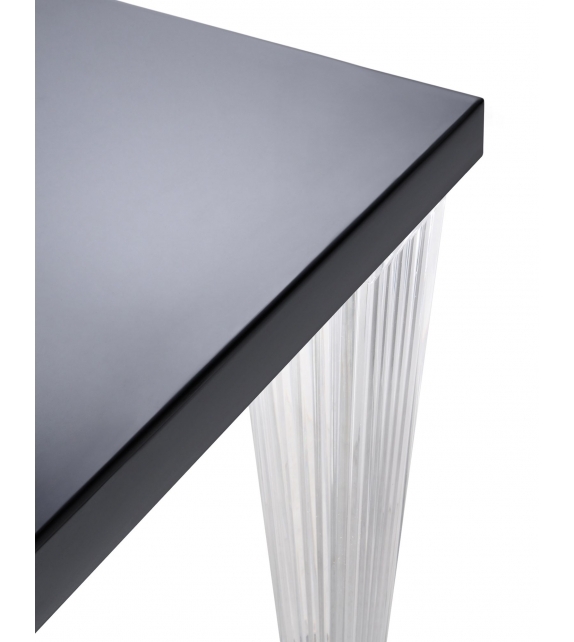 TopTop is a table designed by Philippe Starck with Eugeni Quitllet for Kartell. 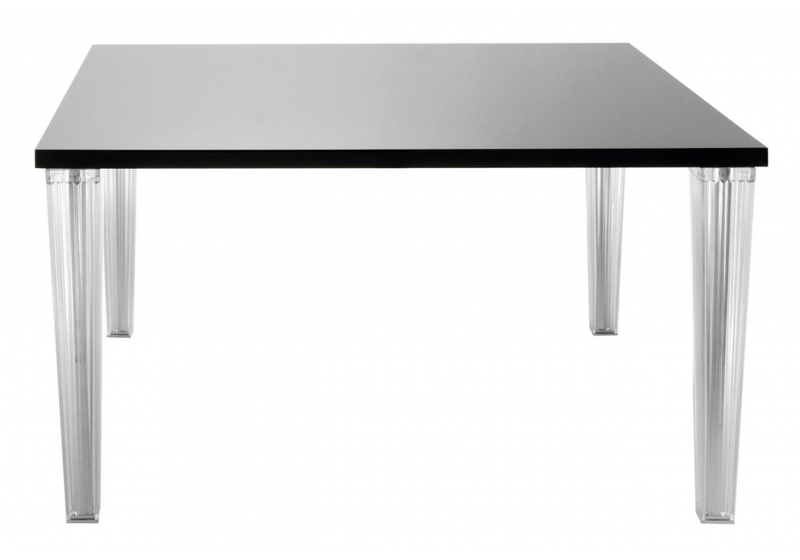 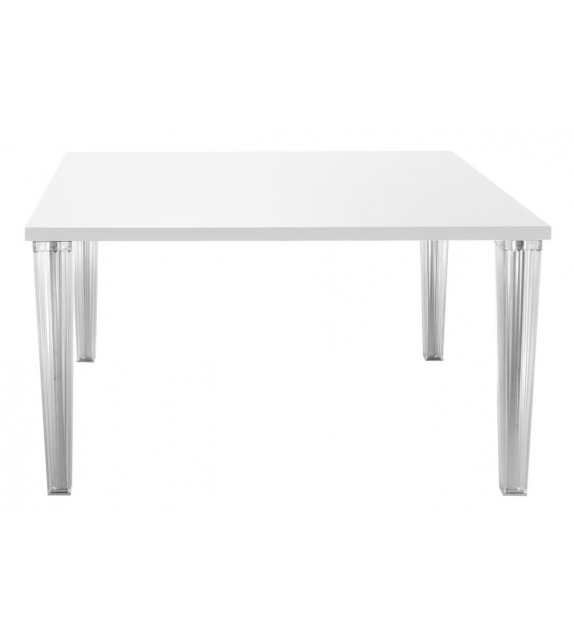 The dining version of the TopTop table combines a glossy surface and a transparent surface in an original way. 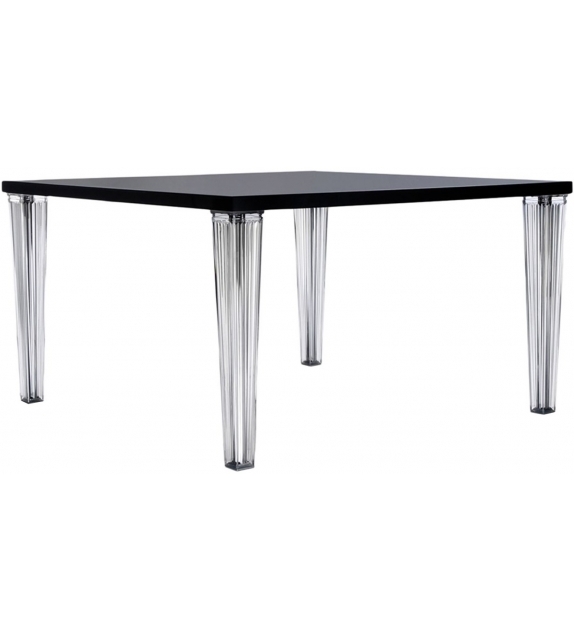 The minimal and elegant lines are made all the more stylish by the transparent, pleated legs with a square section and metal core. 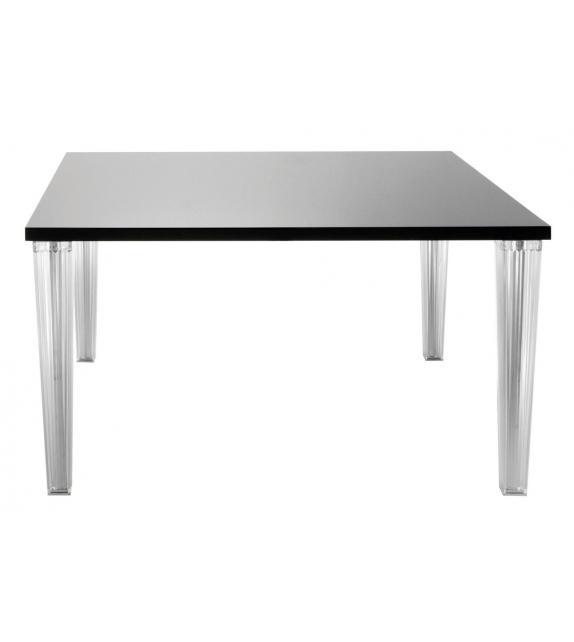 The various dimensions (rectangular and square versions are available) and the variety of materials make it versatile and suitable for many uses. 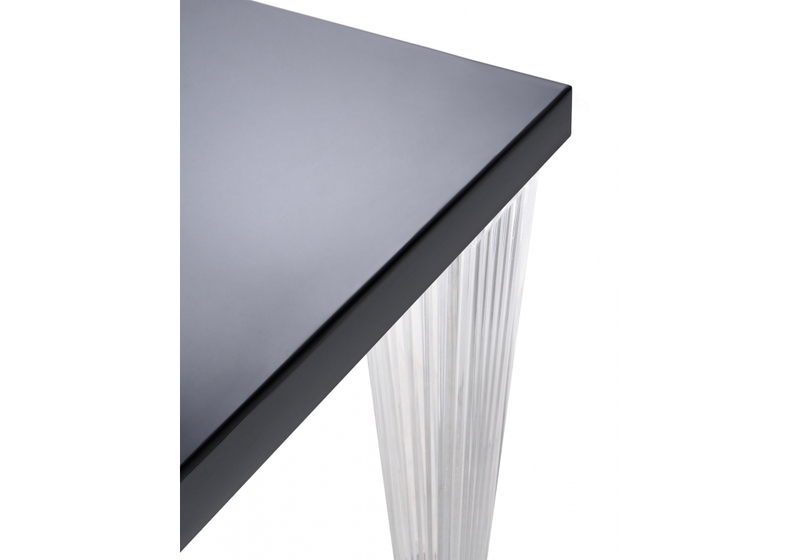 A glass top with a white or black base version is now available to enhance and complete the line.